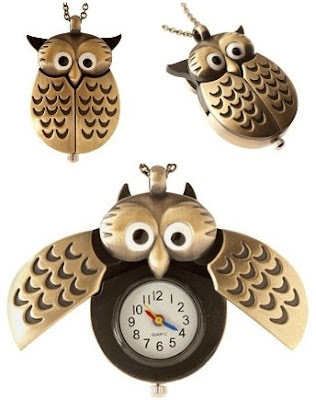 How much do you love this owl necklace - I found it through Polyvore and now I want this too. The fact that it opens up to a clock is just too cute. p.s. Nov 2010 update - you can buy this necklace from Cutie Pie - cute! !